Heartburn sufferers who use proton pump inhibitors (PPI) such as Prevacid 24HR spend on average more than $60 a year on the medication. Prevacid 24HR loyalists spend more than $100 on Prevacid 24HR alone—encouraging news for parent company Novartis—but that sum nonetheless accounted for only 75% of their total spend on PPIs, with the rest going to other brands. To better identify exactly who those roughly 1.2 million loyalists were, find qualified prospects, and encourage both groups to spend even more on Prevacid, Novartis launched its Perks loyalty program. The Perks program rewarded even one-time buyers with items such as movie tickets, restaurant gift cards, and other digital rewards that could be delivered immediately. The new program members would also be eligible for savings on their next purchase. Advertising, packaging and in-store displays, among other vehicles, directed consumers to the program’s website to register for Perks. 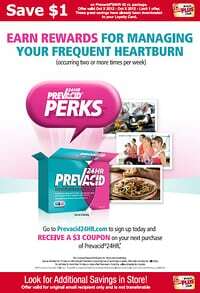 While they were on the site, customers could access videos about heartburn, PPIs, and the loyalty programs. 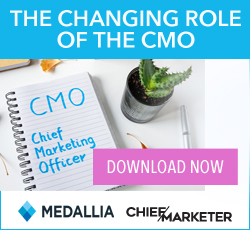 Registrants received monthly enewsletters with educational and promotional content and retailer customization, as well as quarterly coupons delivered via email. The ease and immediacy of submitting proofs of purchase and receiving rewards via the site encouraged repeat engagement. Key retailers also partnered with Novartis to offer additional rewards, such as gift cards and additional points on the stores’ loyalty cards, to consumers who bought the medication at their stores. Promotions on the part of these retailers helped spread news about the program and Prevacid to prospects Novartis might not have otherwise reached. By the end of 2013, Perks had 450,000 members, exceeding its goal of 400,000 registrants. What’s more, 55% of consumers surveyed said that as a result of the program, they felt more positive about the brand, and 44% said they were more likely to use Prevacid 24HR.